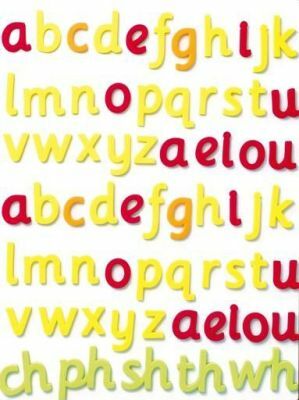 The most artistic and exciting way to learn the meanings and sounds of letters and spellings. These foam magnetic tiles help students of primary ages understand the relationship between letters and their sounds. Usefully colour coded so children can recognise and learn each of the phoneme groups. Make learning fun! All tiles are in lower case. This pack contains 73 foam magnetic pieces, 2 alphabet sets, 2 sets of vowels and 10 digraphs.